Our aim is to encapsulate a total solution for our client's logistical and freighting requirements. Gotrans Freight is a logistics, clearing and Forwarding Company operating on the national as well as international platforms. Gotrans Freight is a true Architect of Transport with an inclusive integrated and comprehensive range of services that plans, manages and delivers seamless transport delivery services from initial collection to ultimate delivery. 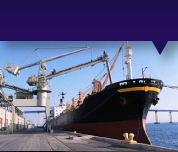 Our comparative advantages include supervised collection, safe and fast transport, selection of best carriers, computerized clearance services and multi-tier delivery. Gotrans Freight fulfills the urgency of critical turn-around times to ensure on time delivery and minimal client downtime. Gotrans Freight is a Forwarding company, which has integrated best national and international agents into our service delivery systems. We have contracted service level agreements with agents and service providers with reliable routing and track records of excellence in their own specific fields, whether in land, sea or air transport. We maintain good relations with our agents and service providers. 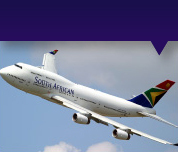 We have offices and warehouses in Johannesburg and Durban. Gotrans Freight is known for our hands on approach. 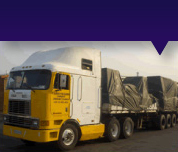 Gotrans Freight Forwarding Company is a BBBEE compliant enterprise. We enhance working conditions of all employees through skills development, training and employment equity which promote growth, dedication and sustainable business practice and ethics. For more info please click on the images on the right or contact us.